Vet du verkligen vad era kunder vill ha? Ett politiskt parti som vill förbjuda Powerpoint! 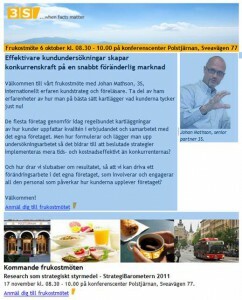 Schweiz kan bli det första landet i världen att förbjuda Powerpoint-presentationer om ett nytt parti, Anti-PowerPoint Party, får tillräckligt med stöd i de val som ska hållas i oktober. Matthias Pöhm som startat det nya partiet, hävdar att 350 miljarder euro kan sparas globalt varje år om Powerpoint skrotas, skriver The Guardian. Han menar att Powerpoint tar uppmärksamhet från arbetet, och lär väldigt lite. Hur Pöhm räknat ut siffrorna framgår inte. The role of the Human Resources department is the subject of much discussion in recent years. I’ve often argued that HR staff belong at the executive table helping with strategy and the business. But, this argument assumes that the HR staff are thoroughly immersed in the business of the organization and the financials. Too long have people argued that the organization is devaluing the potential of HR staff to contribute. Sure there is some of that in organizations. Many retain a traditional view that HR means administration and error-free transactions. But, it’s the HR department members themselves who need to change this world view. HR staff need to re-educate management and themselves about their potential contribution to the business. Robert Furlong (pictured above) and Kenneth W. Moore (pictured right), discuss this issue and suggest that HR as a profit center would transform the field – and the organization’s view of the HR department. Groundwork must be accomplished first. What would you do if you had an HR employee in 2011 who could improve the company’s profit margins, positively impact the cost of goods sold, lower the day’s sales outstanding, and increase the price/earning ratio while liquidating overhead costs to the business. Plus, the HR department can make all of these contributions and still deliver flawless transactional and traditional HR services. • Why is this employee wasting his or her time in the HR department? • Why haven’t I demanded enough from the HR department in the past? • Why is this individual wasting his/her time in an HR department? • Why didn’t I demand this level of HR department performance five years ago? The concept of the Human Resources department as a profitability contributor is fast gaining currency in U.S. businesses and bears closer examination. Professor David Ulrich of the University of Michigan, a leading expert on HR competency models, sees the changing business world as a 20-20-60 proposition. Of executives surveyed, 20% currently use the HR department as active and innovative business solution partners. 20% believe that the HR department should remain as administrative overhead and only perform transactional work. But, 60% of the executives are starting to expect the HR department to partner with others departments to improve the company’s core competencies and competitive advantages. And, more HR people are stepping up to the plate and delivering the goods. What’s driving this thinking? The short answer is competitive pressure in a fast changing business world – pressures for sales, talent, and profits. Most CEO’s (and their CFO’s) are held accountable for three general but powerful results: Increasing revenue, generating cash, and reducing costs. In order to focus on these three accountabilities, executives are discarding paradigms that no longer work as companies seek to stay in and grow their business. The HR department as a strictly administrative overhead and resource consumer is one of the paradigms under justifiable attack. Transactional HR departmental activities such as payroll, benefits administration and records keeping are easily outsourced or digitized (or should be) with significant cost savings. We have worked with companies who have digitized their current and past employee data bases. In one company, they eliminated over 35 five-drawer file cabinets (and two rooms) and condensed them into CDs that fit into a shoebox. With advances in technology, even the shoebox is in jeopardy as a storage device. To many CEOs and CFOs, the HR department as a revenue enhancer takes getting used to. That’s not the way they were taught. They are more interested in the payoff and are asking appropriate questions: What’s in it for the company? Where is the improvement in the revenue stream? How does this get us new customers and retain our current customers. Where is the proof of corporate performance enhancement metrics? Once they get solid answers to these questions from competent HR leaders, the CEOs are quick to change their thinking. To answer the payoff questions, recognize that a continual company-wide value chain analysis is critical to the success of any organization. Over the past decade, CEOs began demanding that their Human Resources departments deliver flawless functional work and become a knowledgeable partner with all other disciplines to advance the business plan of the company. Individual professional silos are breaking down. Disciplines such as finance, sales, marketing, operations, and HR no longer exist as stand alone entities. They are inter-dependent with one another. Weakness of any one of the links inhibits other links from maximizing their efficiency and productivity. 1. What value does the HR department bring to the organization? Many HR teams lack a vision that includes their value to the organization. Do the HR department’s activities directly help the company achieve its broad business objectives? Are the HR team’s arguments for or against a business strategy credible to the other department heads at the decision making table? How are the HR department strategies, that benefit the employees, the shareholders, the customers, and all other stakeholders in the organization, selected and implemented? 2. What value does the HR department generate for the customer? The end user of the company’s product or service? Sales and quality are no longer restricted to the sales and quality assurance teams. Edwards Deming taught organizations that quality and value must be built into every step of the process. The HR department doesn’t just hire a salesperson based upon a manager’s request. The end result of HR’s recruiting and hiring efforts is that the customer who interacts with the new sales person receives continuing world class service from the company. HR shares the quality of the new hire with the other departmental silos to insure that the company is, or becomes, the vendor of choice for that customer. 3. What core business competencies must HR leaders possess in order to be credible strategic partners with the rest of the executive team? Each company and each industry can generate its own list of core business skills their teams must have that go beyond their individual specialties. This issue has become so critical that in graduate and undergraduate level business programs, new editions of Organizational Development textbooks are including chapters on financial calculations and ratios, corporate social responsibility, globalization, and major workforce diversity challenges, among others. The biggest barrier to profitability is ignorance – ignorance by many people about how the company makes money and how it achieves its objectives, and how all of the departmental silos are interdependent on each other. The myth that only finance people need to know about finance or that marketing people are the only people who need to know about marketing is fast disappearing. In today’s business environment, profitable organizations require highly skilled employees who can solve complex problems using multi-disciplinary teams. Can HR be linked to profitability metrics? • A well known global company formed a group of HR professionals who developed processes and training programs in sales, customer service, workouts, project management, process improvement and leadership development that focused on critical performance issues for their internal and external customers. By partnering with operations, sales, and customer service they served as a catalyst to forge alliances, partnerships and agreements. Many of their efforts resulted in improved relationships that translated into “Preferred Provider Status”, which increased sales and lowered costs. All of their costs were liquidated by charging a fee for the service while creating net revenue. After two years, this HR group generated sales of $4 million and a profit margin in excess of 30% which was returned to the division budget at the end of each fiscal year. • Secondly, an HR team, partnering with the Audit staff, discovered that the accounts receivable turnover had moved from a preferred 30 days to 45 days during the past two years. They decided to let the chief credit officer go. The HR staff established criteria to identify candidates with the ability to reduce the ratio from 45 days back to 30 days. The HR staff recommended one candidate for hire. Within six months, the company’s DSO (Days Sales Outstanding) ratio was reduced to 35 days. • In a third case, while designing and negotiating a new health care and 401(k) plan, the HR leadership partnered with the sales and marketing team to determine if the cost of the program would erode the company’s market share and competitive pricing strategy. The resulting benefit program design achieved its cost/benefit objectives without jeopardizing the company’s market share and pricing metrics. How do HR leaders and CEOs make the transition? Here are suggestions based upon our belief that the more employees become knowledgeably involved in the business, the better they will be able to become a more productive asset. • Most importantly, hold all employees accountable for achieving the “critical numbers” established for your company. A superb HR department becomes irrelevant if the company is sliding into bankruptcy. The HR department’s powerful value focuses on its contributions toward reversing the slide. 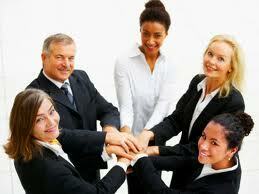 Include your HR employees as full business partners. They will rise to the occasion and surprise you by building your bottom line and becoming a profit center contributor as well as maintaining their traditional responsibilities – and they will be better at both. The intense and brutally competitive business environment of our global and digital world needs the help of everyone in the company. To which group of 20-20-60 does your company belong? 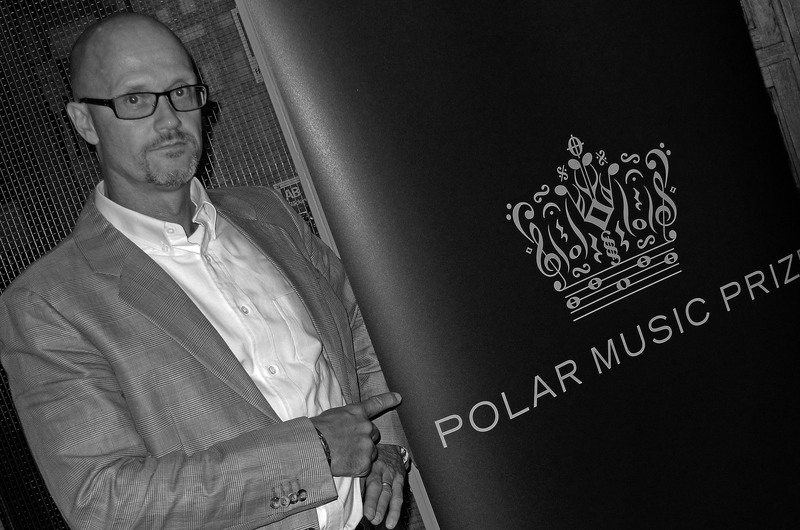 Det var verkligen roligt att i år igen få vara med i ett fullsatt Stockholms Konserthus idag då Polar Music Prize ut för tjugonde året i rad. H.M. Konungen överräckte en miljon kronor vardera till årets pristagare Kronos Quartet och Patti Smith, som också fick ta emot var sitt personligt konstverk av Karin Mamma Andersson och Jockum Nordström. Prismotiveringarna lästes av den kinesiska pipavirtuosen Wu Man och författaren Henning Mankell. Programledare var Petra Nordlund McGahan och Tilde de Paula. Ceremonin hedrades av gäster som H.M. Konungen, H.M. Drottningen, Kronprinsessan, Prins Daniel, Lena Adelsohn-Liljeroth, Maud Olofsson, PO Enquist, Barbara Hendricks, Jens Spendrup, Kristian Luuk, Anna Holtblad, Lill Lindfors, Pernilla August, Tomas Ledin, Dregen, Oskar Linnros, och många många fler. Under ceremonin medverkade Kungliga Filharmonikerna under ledning av Hans Ek, ett husband lett av Georg “Jojje” Wadenius och artisterna Ola Salo, Veronica Maggio, Dungen, Stenhammar kvartetten samt Anna Järvinen. Som vanligt var det en mycket välarrangerad tillställning. Det enda som jag personligen tyckte kunde ha varit ännu lite bättre hade varit att ha Carolina af Ugglas att framföra “Because the night” i stället för Veronica Maggio. Man vad gör det, en kväll som denna! Pressbilder från ceremonin finns att hämta på www.polarmusicprize.org kl. 21:00 ikväll. British Airways och Lufthansa är de säkraste flygbolagen i Europa, enligt organisationen Air Transport Rating Agency (ATRA). TRA säger sig inte bara bedöma olycksstatistik utan bland annat även snittålder på bolagens flygplan, underhåll samt arbete med riskfaktorer. Säkraste bolag i USA är AMR Corporation, Continental Airlines, Delta Airlines, Southwest Airlines, United Airlines och US Airways. I Asien anses Japan Airlines vara säkrast. Team building is undeniably one of the last ten years, most focused area of ​​leadership. My focus is solely on team building with management teams within the frame of business and strategy development. Executives, managers and organization staff members universally explore ways to improve business results and profitability. Many view team-based, horizontal, organization structures as the best design for involving all employees in creating business success. No matter what you call your team-based improvement effort: continuous improvement, total quality, lean manufacturing or self-directed work teams, you are striving to improve results for customers. Few organizations, however, are totally pleased with the results their team improvement efforts produce. If your team improvement efforts are not living up to your expectations, this self-diagnosing checklist may tell you why. Successful team building, that creates effective, focused work teams, requires attention to each of the following. Has executive leadership clearly communicated its expectations for the team’s performance and expected outcomes? Do team members understand why the team was created? Is the organization demonstrating constancy of purpose in supporting the team with resources of people, time and money? Does the work of the team receive sufficient emphasis as a priority in terms of the time, discussion, attention and interest directed its way by executive leaders? Do team members understand why they are participating on the team? Do they understand how the strategy of using teams will help the organization attain its communicated business goals? Can team members define their team’s importance to the accomplishment of corporate goals? Does the team understand where its work fits in the total context of the organization’s goals, principles, vision and values? Do team members want to participate on the team? Do team members feel the team mission is important? Are members committed to accomplishing the team mission and expected outcomes? Do team members perceive their service as valuable to the organization and to their own careers? Do team members anticipate recognition for their contributions? Do team members expect their skills to grow and develop on the team? Are team members excited and challenged by the team opportunity? Does the team feel that it has the appropriate people participating? (As an example, in a process improvement, is each step of the process represented on the team?) Does the team feel that its members have the knowledge, skill and capability to address the issues for which the team was formed? If not, does the team have access to the help it needs? Does the team feel it has the resources, strategies and support needed to accomplish its mission? Has the team taken its assigned area of responsibility and designed its own mission, vision and strategies to accomplish the mission. Has the team defined and communicated its goals; its anticipated outcomes and contributions; its timelines; and how it will measure both the outcomes of its work and the process the team followed to accomplish their task? Does the leadership team or other coordinating group support what the team has designed? Does the team have enough freedom and empowerment to feel the ownership necessary to accomplish its charter? At the same time, do team members clearly understand their boundaries? How far may members go in pursuit of solutions? Are limitations (i.e. monetary and time resources) defined at the beginning of the project before the team experiences barriers and rework? Is the team’s reporting relationship and accountability understood by all members of the organization? Has the organization defined the team’s authority? To make recommendations? To implement its plan? Is there a defined review process so both the team and the organization are consistently aligned in direction and purpose? Do team members hold each other accountable for project timelines, commitments and results? Does the organization have a plan to increase opportunities for self-management among organization members? Does the team understand team and group process? Do members understand the stages of group development? Are team members working together effectively interpersonally? Do all team members understand the roles and responsibilities of team members? team leaders? team recorders? Can the team approach problem solving, process improvement, goal setting and measurement jointly? Do team members cooperate to accomplish the team charter? Has the team established group norms or rules of conduct in areas such as conflict resolution, consensus decision making and meeting management? Is the team using an appropriate strategy to accomplish its action plan? Are team members clear about the priority of their tasks? Is there an established method for the teams to give feedback and receive honest performance feedback? Does the organization provide important business information regularly? Do the teams understand the complete context for their existence? Do team members communicate clearly and honestly with each other? Do team members bring diverse opinions to the table? Are necessary conflicts raised and addressed? Is the organization really interested in change? 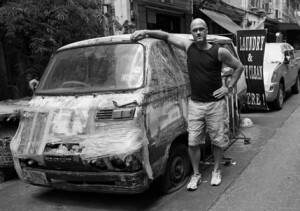 Does it value creative thinking, unique solutions, and new ideas? Does it reward people who take reasonable risks to make improvements? Or does it reward the people who fit in and maintain the status quo? 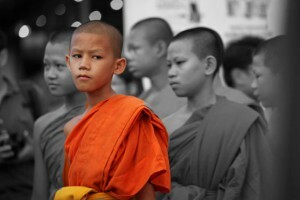 Does it provide the training, education, access to books and films, and field trips necessary to stimulate new thinking? Do team members feel responsible and accountable for team achievements? Are rewards and recognition supplied when teams are successful? Is reasonable risk respected and encouraged in the organization? Do team members fear reprisal? Do team members spend their time finger pointing rather than resolving problems? Is the organization designing reward systems that recognize both team and individual performance? Is the organization planning to share gains and increased profitability with team and individual contributors? Can contributors see their impact on increased organization success? Are teams coordinated by a central leadership team that assists the groups to obtain what they need for success? Have priorities and resource allocation been planned across departments? Do teams understand the concept of the internal customer—the next process, anyone to whom they provide a product or a service? Are cross-functional and multi-department teams common and working together effectively? Is the organization developing a customer-focused process-focused orientation and moving away from traditional departmental thinking? Does the organization recognize that the team-based, collaborative, empowering, enabling organizational culture of the future is different than the traditional, hierarchical organization it may currently be? Is the organization planning to or in the process of changing how it rewards, recognizes, appraises, hires, develops, plans with, motivates and manages the people it employs? Does the organization plan to use failures for learning and support reasonable risk? Does the organization recognize that the more it can change its climate to support teams, the more it will receive in pay back from the work of the teams? Read more about culture change. Spend time and attention on each of these twelve tips to ensure your work teams contribute most effectively to your business success. Your team members will love you, your business will soar, and empowered people will “own” and be responsible for their work processes. Can your work life get any better than this? Reser sent i kväll hem från ett stekhett Bangkok. Kan summera en mycket bra arbetsvecka här borta. Möjligheterna att inom det närmaste året etablera ett 3S-kontor (www.3s.se) här borta har ökat markant och ett par intressant projekt initierades precis som planerat (bl.a. med Bed Supper Club). Slås dock igen av bristerna i infrastrukturen i den här 12 miljonersstaden. Igår blev jag felkopplad tre gånger via mobiltelefonen och det tog 1 timme och 35 minuter att ta mig ett par kilometer till ett middagsmöte. Men det finns ju värre saker i livet, eller hur? Som vanligt kompenseras störningarna av den fantastiska vänligheten. Vilken tillgång för Thailand! Det blev inte mycket tid över för fotografering den här gången. Men om Du är intresserad har jag lagt upp några kort här. Apple har gjort en osannolik börsresa sedan Steve Jobs gjorde comeback som vd 1997. Aktiekursen har rusat med omkring 8.000 procent på ett drygt decennium. Dator- och mobiltillverkarens aktie backade i onsdagens efterhandel med 5 procent till 356 dollar efter beskedet att grundaren Steve Jobs lämnar vd-posten. Så sent som i slutet av juli noterade Apple kursrekordet 403 dollar och övertog kort därefter titeln som värdens högst värderade bolag från oljejätten ExxonMobil. När Jobs kom tillbaka som vd 1997 stod det förlusttyngda Apples aktie i omkring 5 dollar. Då påbörjade han bolagets långsiktiga breddning mot ett designbaserat elektronikprylbolag. Aktien fick medvind i det sena 90-talets allmänna it-yra, men också rejält med stryk när it-bubblan sprack. Efter 2003 har aktien tagit en hisnande raketfärd mot ständigt nya kursrekord. De ägare som hängt med sedan 5 dollar-nivån 1997 har fått se sina aktier öka i värde med hisnande omkring 8.000 procent. Källa: DI, 25 augusti 2011. Däremot steg Seoulbörsen (med bl.a. Samsung som tung teknikaktie) på informationen om Jobs avgång. Läs mer här. 2011 Kursrekord på 403 dollar och bolaget blir världens högst värderade. Jobs meddelar i augusti att han lämnar vd-posten permanent på grund av sjukdom. Steve Jobs lön har varit 1 dollar per år, enligt Wall Street Journal. Man kan komma långt med en bra rulle tejp! Att “klippa och klistra” för att ta sig vidare, överleva eller täcka upp för misstag har blivit allt vanligare. Både i näringslivet och inom politiken (vem minns inte Marjasin?). Efter gårdagens sista arbetsmöte här i Bangkok valde jag att ta en promenad med kameran. I en liten gränd i närheten av Shangri-la hotell stötte på den här bilen! Som tur var kom den stolta ägaren ut och erbjöd sig att föreviga mig tillsammans med den fantastiska “klippa-och-klistra-bilen”. Billigare Iphone på gång snart!? Den nya versionen av Apples mobiltelefon, Iphone 5, väntas bli försenad. Men rykten gör gällande att företaget i stället kommer släppa en billigare version av Iphone 4 “inom veckor”.